first of all – thank jebus it’s friday! whilst this week hasn’t been a particularly bad or long week, friday’s appearance is most definitely welcomed. anyway! today’s learning was actually inspired by last night’s visit to the moving picture house to see ‘batman made of lego the movie, in all three dimensions’. sat wearing my highly stylish 3d glasses (without lenses), i couldn’t help but wonder how these new school contraptions work. 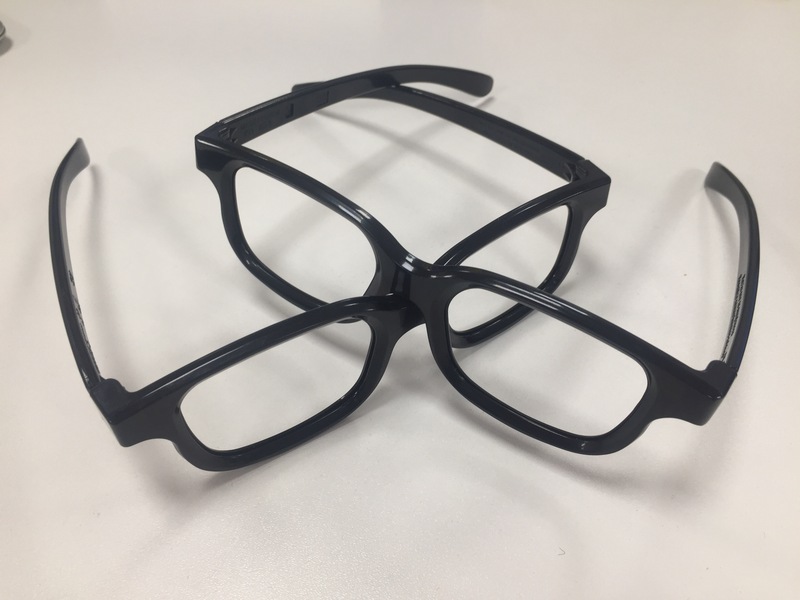 one quick google search and i’m now a full on 3d expert – turns out that the new glasses (despite the super stylish black lenses) aren’t all that different to the old paper glasses that had obviously red and blue filters for lenses. right then: 3d films use ‘binocular vision’ to make things 3d – exactly what your eyes and brain already do to make the world 3d. “what’s binocular vision?” I hear you cry. well, binocular vision is where your brain creates a sense of depth in everyday life by taking the two images that your eyes see (the same thing from slightly different angles due to the distance beween your eyes) and then stitching them together. in 3d film terms – for both new school and old school 3d films – this equates to the same scene being projected simultaneously from two slightly different angles. if you’ve ever taken your glasses off during a 3d film, you’ll have seen that the image is all fuzzy. the only difference between the two methods (that i can figure out at least) is the way in which the two images are defined to your eyes as different images. in old school paper 3d glasses, the images are defined by both being different colours (the images on screen are known as anaglyph images) and in the hip new 3d films, it’s done through polarisation (to paraphrase me and mark, new 3d glasses “polarise that s**t”). the different colour or polarisation allows you to determine that the two images are different and subsequently helps trick your brain into creating something that has depth…the result being that things can fly out of the screen and hit you in the face.